Jim Driscoll bubbles with excitement at the anticipation of talking about his newly retooled Demetrio tequila (NOM 1459) expressions. A certified small business coach, international speaker, and best selling author, with the dubious distinction of being thrown out of his Toastmasters Club for winning too often! Jim is now the CEO of Ekeko Wine and Spirits which handles a portfolio of so many stellar award winners that they’re hard to keep track of. 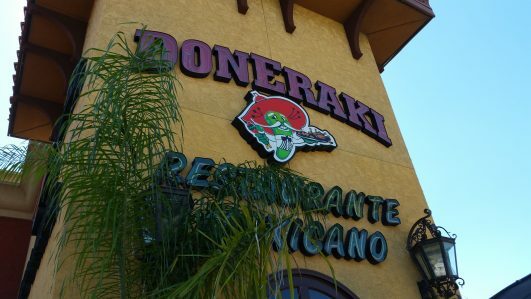 We met up with Jim at Doneraki restaurant in his home town of Houston during Tequila Aficionado’s 2016 Heartland Tour. Here’s our visit with the irrepressible Jim Driscoll. 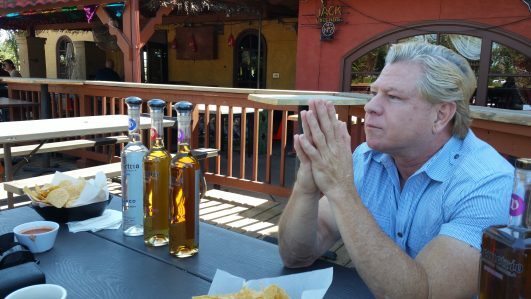 Jim Driscoll, CEO of Ekeko Wines & Spirits explains how he came across Demetrio tequila. Jim relays the story of Demetrio, and why it was important to him to partner with the producer of his tequila. Jim discusses how he prefers his Demetrio blanco by starting with the estate grown agave and letting the jimadores choose the plants at their perfect ripeness. In this way, the quality of Demetrio is controlled from farm to bottle. Jim reveals that the Mozart Method used in fermentation is a standard procedure in the rum industry, and is also applied to Demetrio tequila. Jim continues to expound on what makes Demetrio different from other brands which includes double distillation, and double filtration, all in small batches. Jim explains his strategy to corner the Houston Skinny Margarita market using Demetrio’s specific flavor profile. Jim reveals how his master distiller was able to eliminate Demetrio’s original briney notes. Driscoll then divulges why he pursued the allspice flavor in Demetrio reposado to pair perfectly with Cointreau in a margarita. Jim discloses why Demetrio was resubmitted to Sipping Off The Cuff(c), and issues a challenge to other brands who have restructured their formulations. Quoting our founder, Alex Perez, Jim exposes the secrets behind Demetrio añejo. 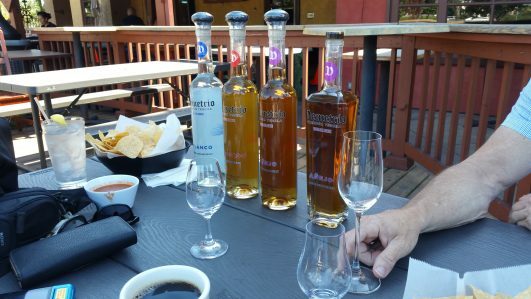 Driscoll admits that he has the perfect tequilas for any occasion and summarizes the qualities of each of Demetrio’s expressions. Jim shares his philosophy on providing quality wines and spirits at affordable prices. Driscoll preaches that you don’t have to pay exorbitant prices for fine tequilas, let alone extra añejos. Then, he introduces Demetrio’s 5 year Extra Añejo for the first time. Jim Driscoll leads us in a toast to Demetrio’s 5 Year Extra Añejo. 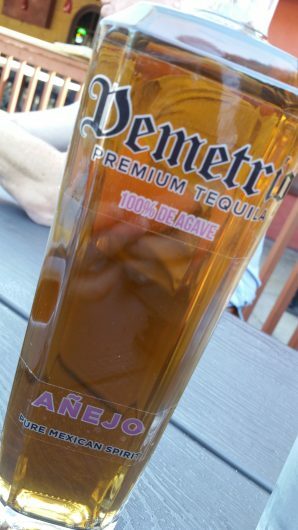 Tequila Aficionado’s CMO, Lisa Pietsch, Jim Driscoll and myself are wowed by Demetrio’s Extra Añejo. Jim concedes that his sample of the Demetrio Extra Añejo is in actuality a 4 year and a few months expression. He then announces that the 5 year version will be launched on January 7, 2017. Jim conveys his plans for Demetrio’s expansion into other markets scheduled in 2017.